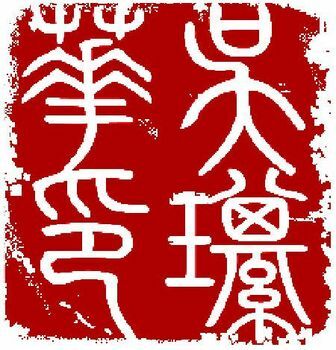 In China, a chop is a rubber stamp that represents a company and is used like a signature on legal/official documents. Chops have been used for thousands of years. It holds a great deal of power and signifies the authorization by the person or company it represents. Every company in China has a Chop and non-native companies who wish to work in China need to acquire one. 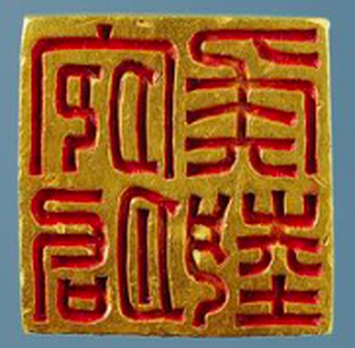 Seals cut as works of art should excel in three aspects-- calligraphy, composition and the graver's handwork. You will design and create your own Chop that can be used on your artwork. The Creative Pro website has a very good article about making an electronic chop. Read the article highlights below. Click the link to go to the site if you want to read the full article. In Western culture, it’s common for an artist to sign or initial her name on pieces of original artwork. In Eastern culture, specifically Chinese, it’s customary for an artist to create a chop, an identifying symbol. Figure 2: It’s easy to extrapolate a symbol from your own signature. 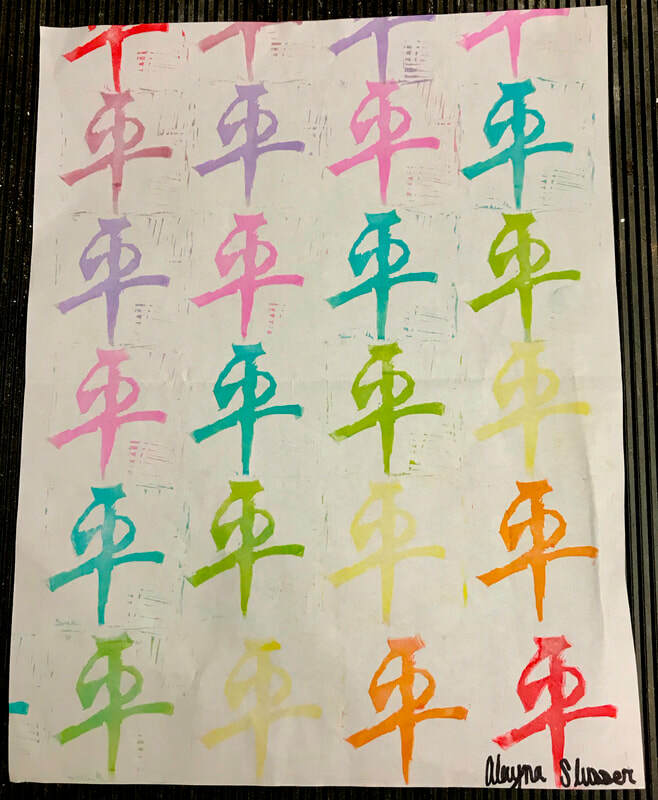 Traditional vs. Non-Traditional Depending on what sort of person you are, you may be interested in creating a more traditional Chinese chop with Chinese characters or perhaps just a design that’s representative of you. Translate Accurately There’s a Web site that can help you generate the meaning of your name in sounds. To try it out, go to www.mandarintools.com. Here, you can enter your name and the site will generate a Chinese name that sounds as close as possible. As an alternative, you may want to seek out characters for words that have particular meaning to you. One way to do this is with sites like www.zhongwen.com, which is an excellent English-to-Chinese dictionary graphically represented online. You can simply enter words that are significant to you and you’ll be presented with the symbols, which you can then re-create in Illustrator. But I’m not Chinese. 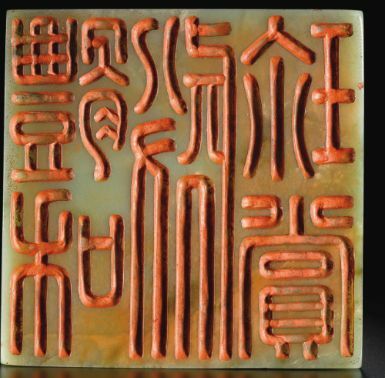 You may not want Chinese characters in the seals simply because you feel no connection to them. Your design can simply be a design that’s symbolic for you, like your initials. In figure 2, you can see a signature created from simple lines and then how it was extrapolated it to a simple design. ​Making the Chop Most chops are either circular or square. Place your initial symbol on top of the circle or square. Texture. Ink stamps have a texture and usually the ink coverage isn’t perfect. Figure 5: Get your chop made into a stamp for use on any of your traditional work. Color. A chop is traditionally Chinese chop is red. You can choose a color that symbolized you. 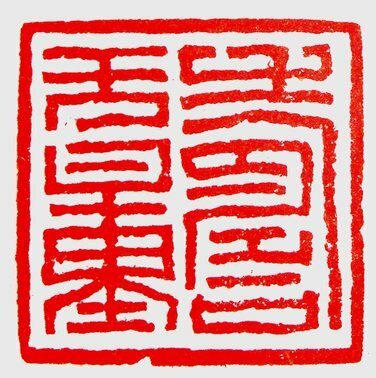 Chop Materials Chinese chops are usually carved out of soapstone or jade and then a durable red ink paste is used for stamping. One thing to keep in mind for this sort of work is how thin your lines are. You might have to worry about excess ink causing the lines to fill in. Figure 5 shows our chop made into a stamp. Draw thumbnail sketches in your sketchbook of designs for your seal. You may choose to make your seal any way you want- name, abstract design, animal, etc. Draw the image backwards or mirror image so it will print correctly!!! Use a pencil to draw your design onto the vinyl carving block (eraser). Use linoleum carving tools/exacto knife to remove the “white” part of your design-where the paper will show through (Relief or Sunk Relief). PRACTICE printing on scrap paper. Print your seal onto your scroll using red ink (we usually use printmaking block ink). This is my brainstorming practice using my signature. After writing my signature, I looked for major shapes and lines that appear in my writing style. Simplification is key to the design. Remember the final product doesn't need to resemble writing. It is a design. After several combinations, I came up with 3 designs that I like (see the 3 purple designs on the bottom write of the paper). RELIEF PRINT (A means of making prints by creating a raised design on a flat surface). In a relief cut Chop, the background is cut away leaving the symbols raised. When printed, the paper shows through and the design is the color of the ink.